As summer arrives, English private detective Carol Reed is asked by a neighbour to look into the discovery of a dead body that mysteriously disappears. 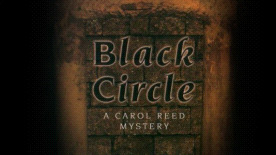 Carol must discover scattered clues and interview suspects and helpful residents to get to the bottom of this stranger's death. What starts as a routine investigation quickly becomes something more as Carol uncovers broken alliances and a cult long thought to be inactive. Join Carol as she journeys through the beautiful city of Norrkoping, Sweden, as well as in homes, businesses, and abandoned buildings, all in search of answers.